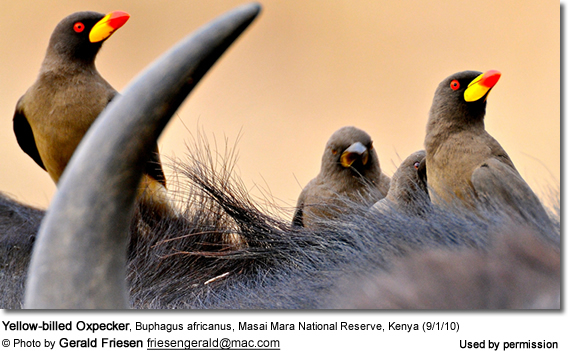 The oxpeckers are medium-sized starlings that occur naturally in Africa, where they inhabit open country. 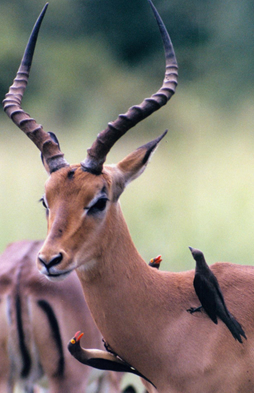 They mostly feed on insects and often perch on large mammals, such as cattle or rhinoceroses, feeding on ticks that are attached to the animals. They have strong feet. The plumage is light brown. They usually nest in holes, often in walls, that they line with hair plucked from livestock. The average clutch consists of 2 - 3 eggs. 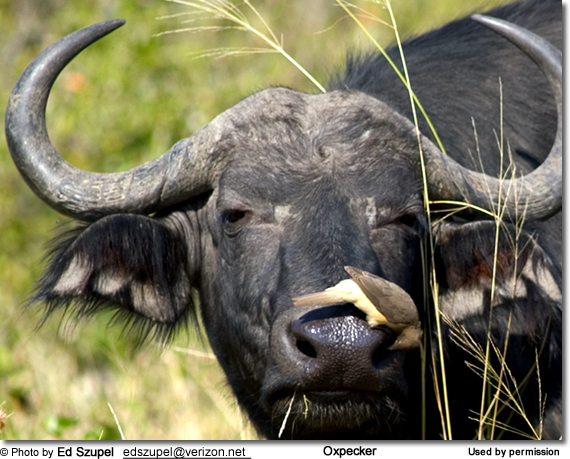 Yellow-billed Oxpecker, Buphagus africanus of most of sub-saharan Africa.